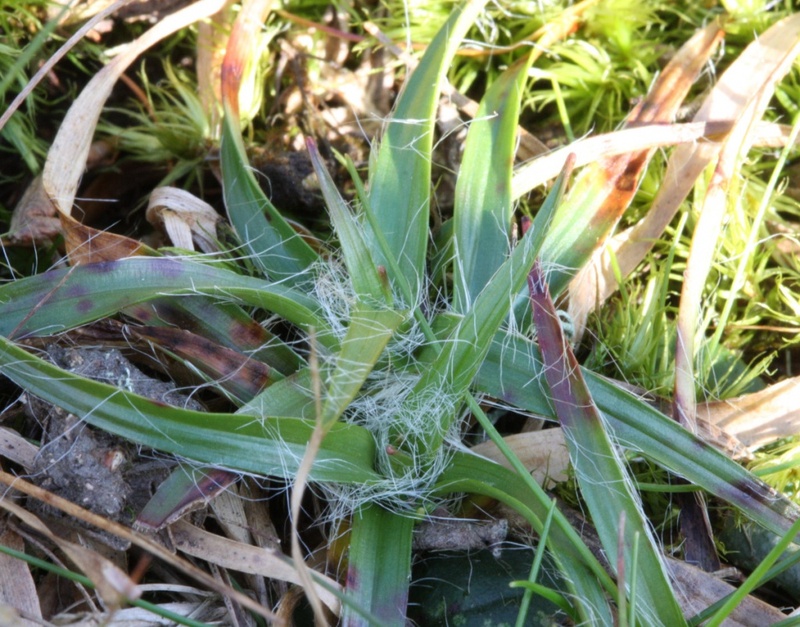 A compact and loosely tufted hairy grass like plant, with a short rootstock and shortly creeping runners. 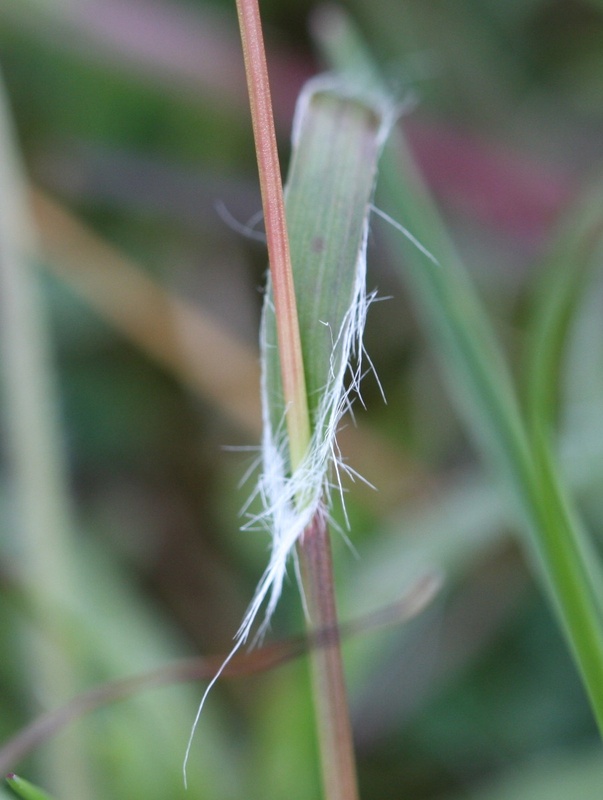 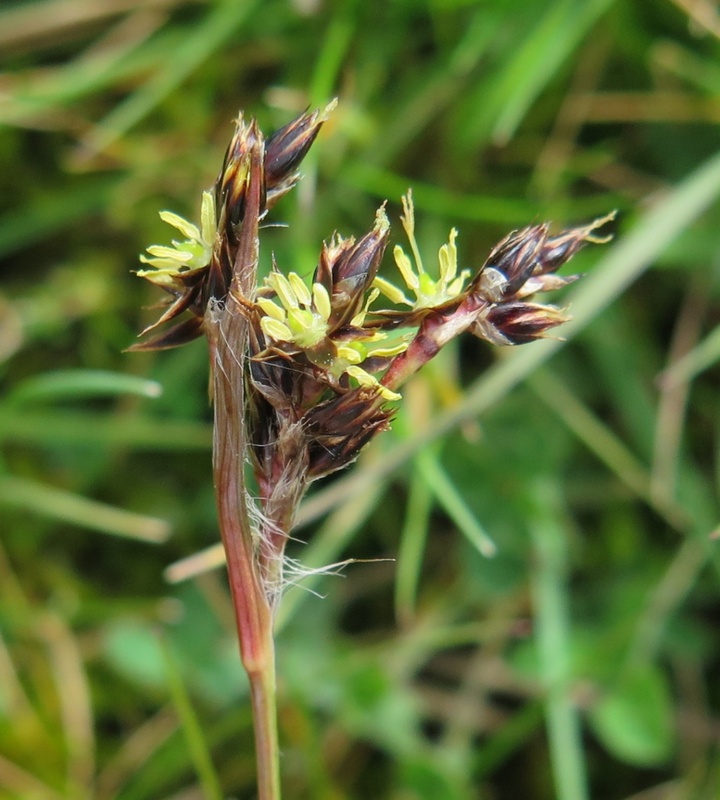 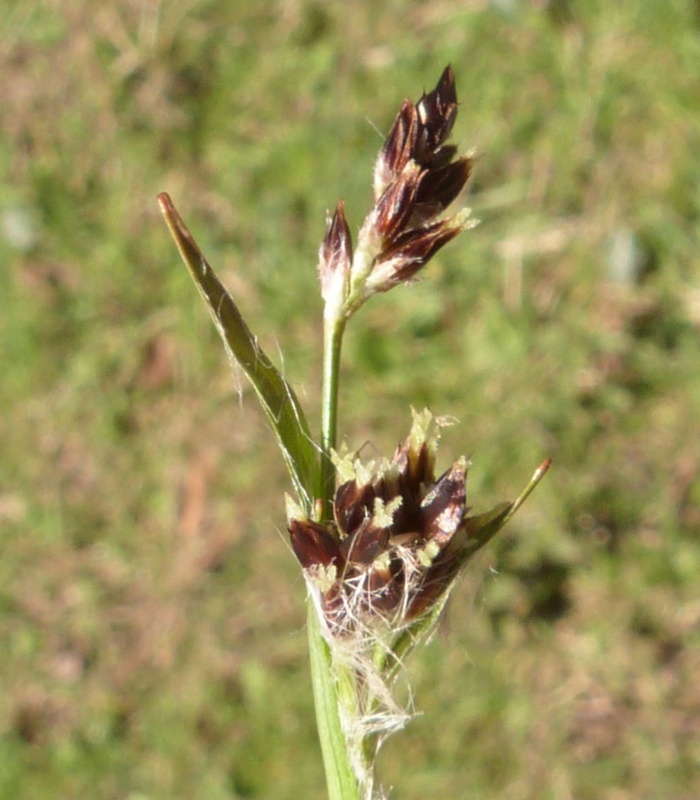 Leaves 2 to 4 mm wide, bright green grass like, thinly hairy with a small knob at each leaf tip. 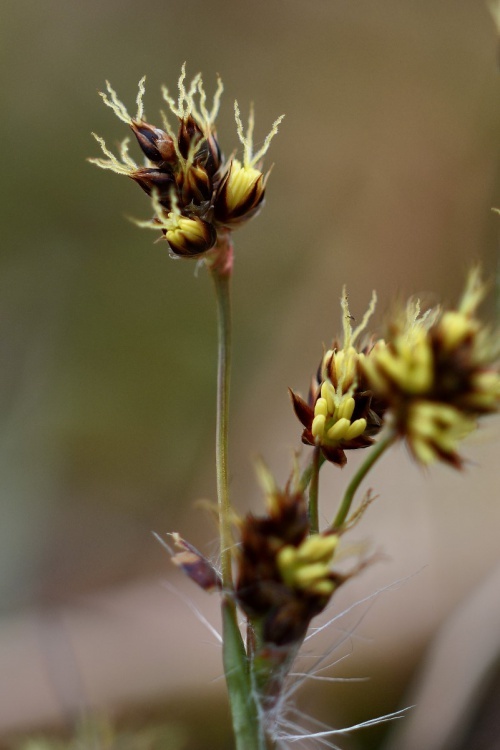 Stems rarely over 15 cm tall usually much less, erect, ending in a loose panicle of 1 stalkless and 3 to 6 stalked, globose to ovoid heads, each with 3 to 12 florets, the stalks of the heads curved in flower. 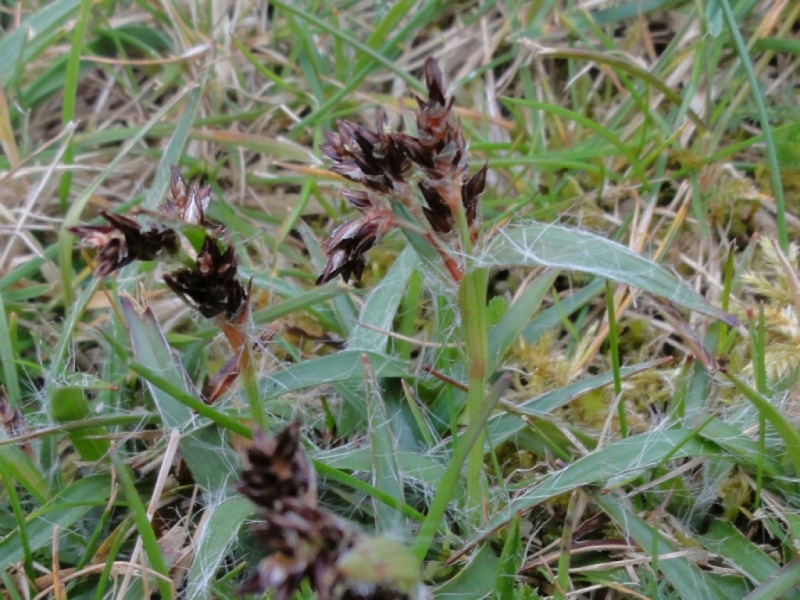 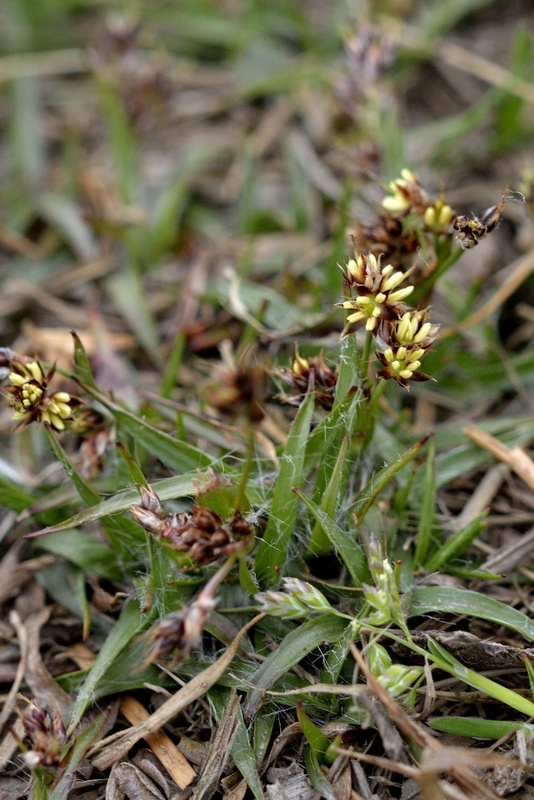 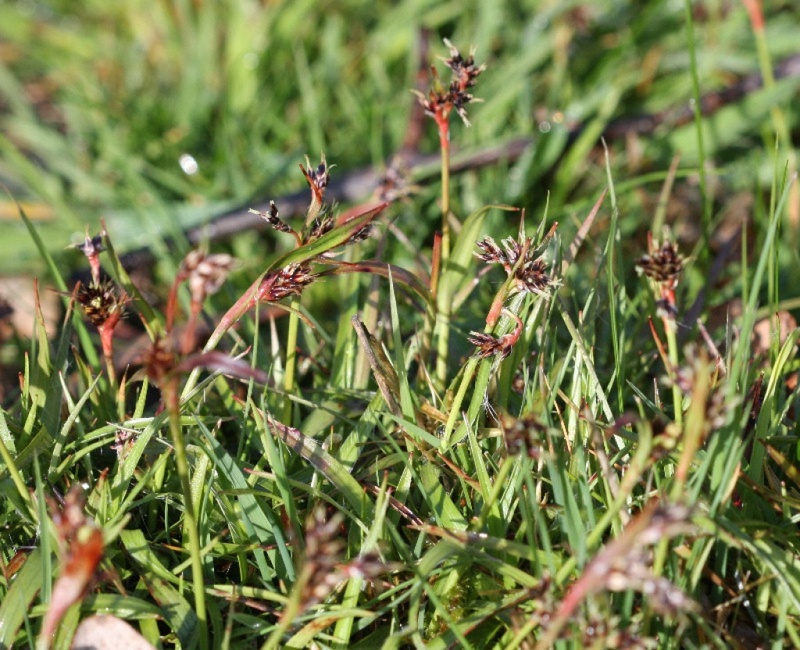 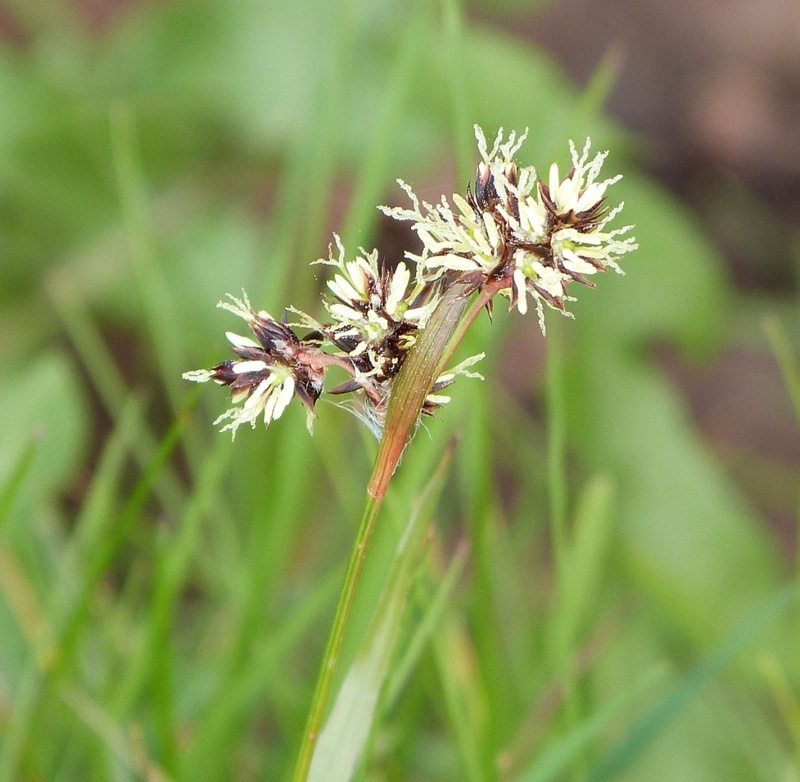 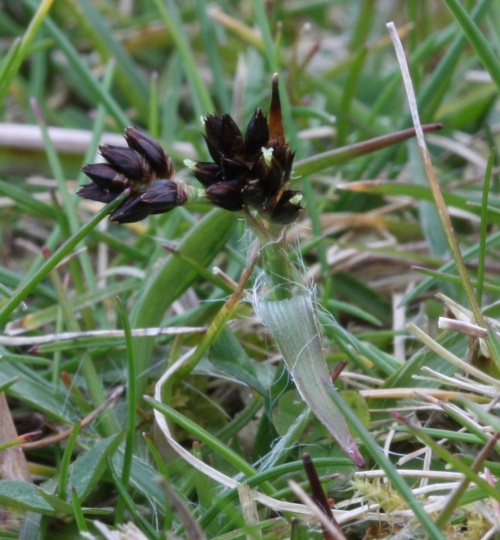 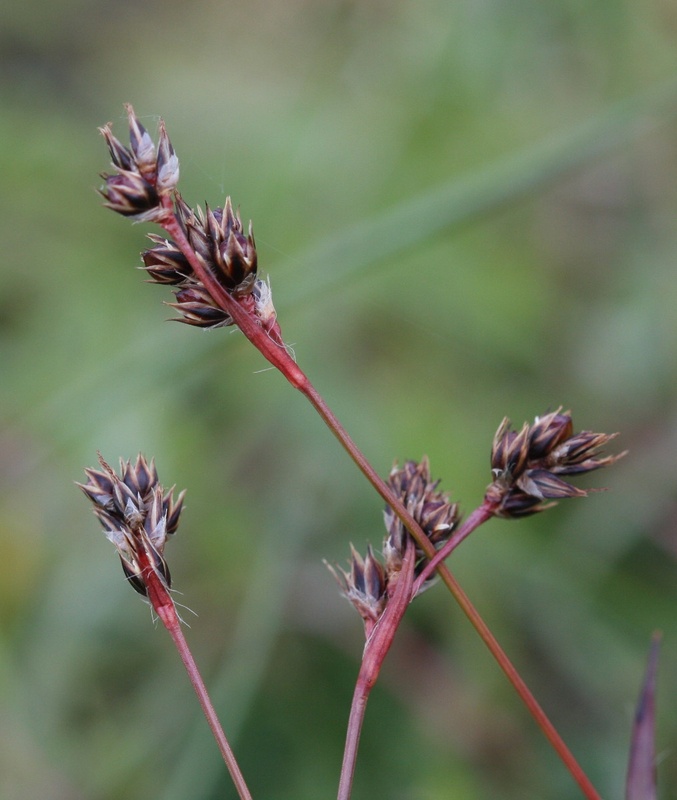 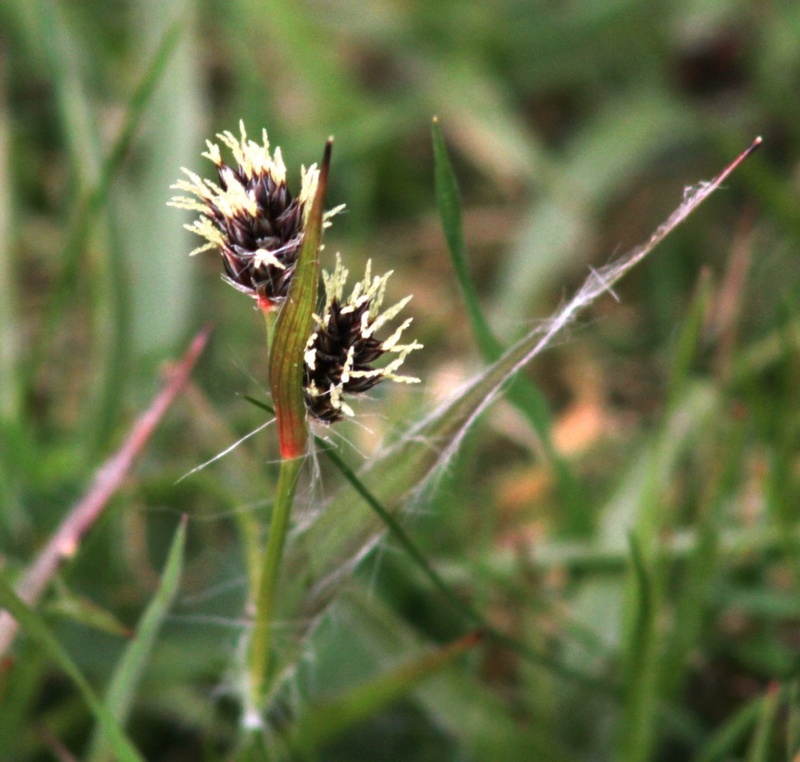 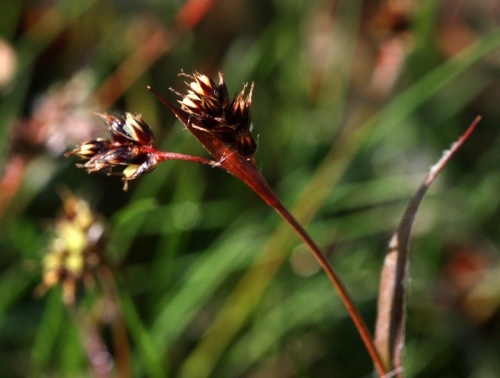 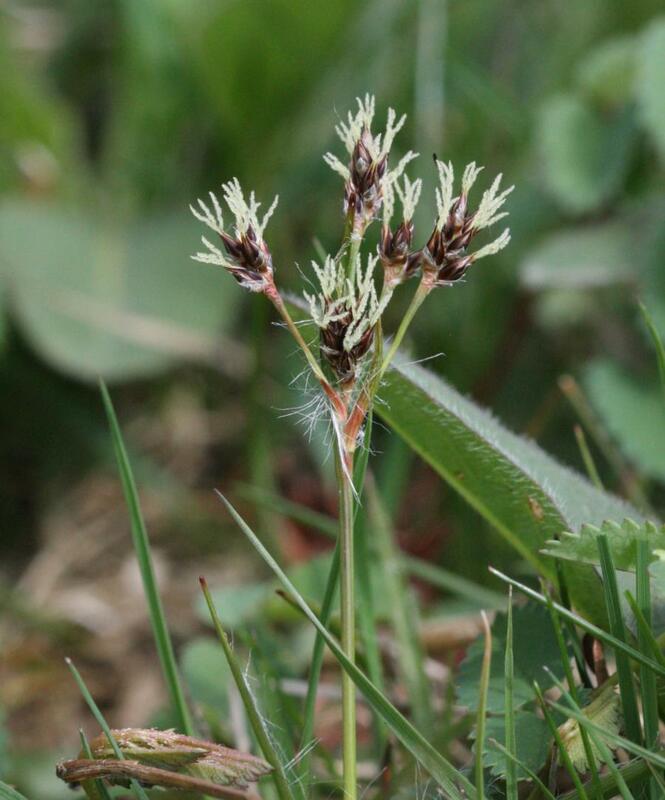 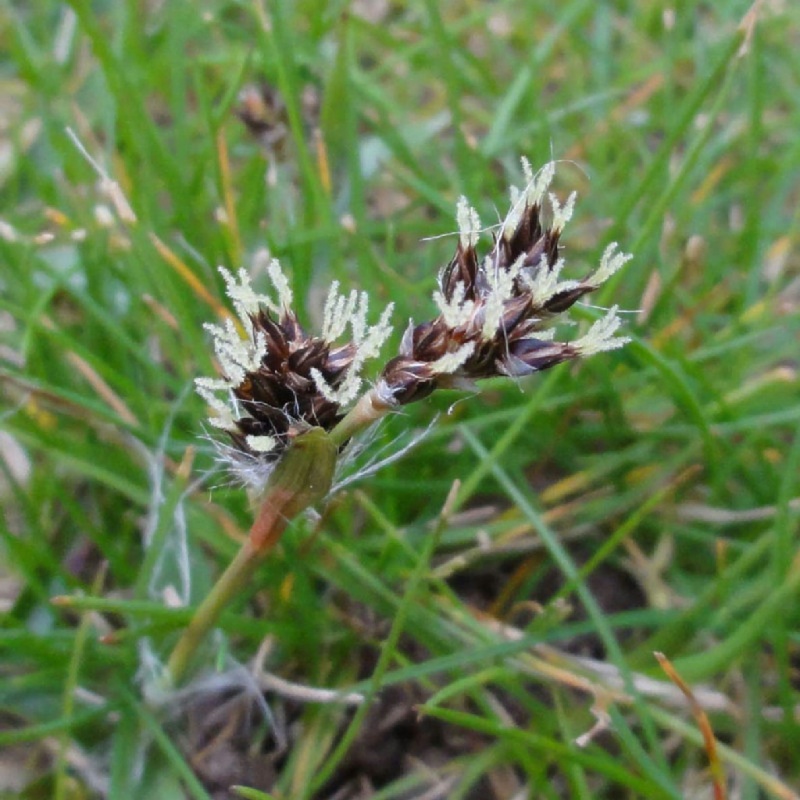 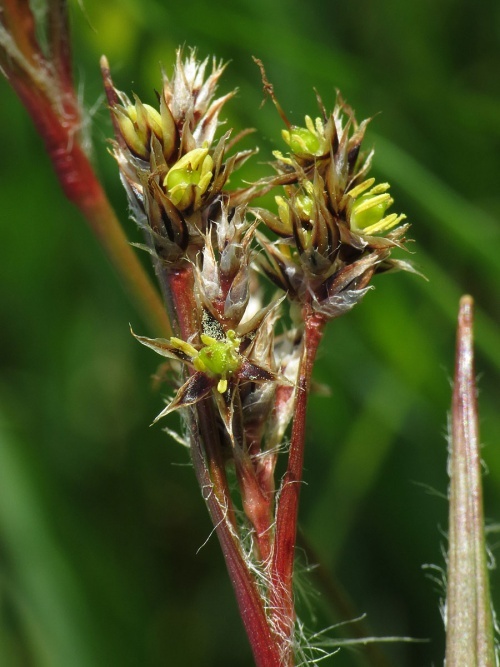 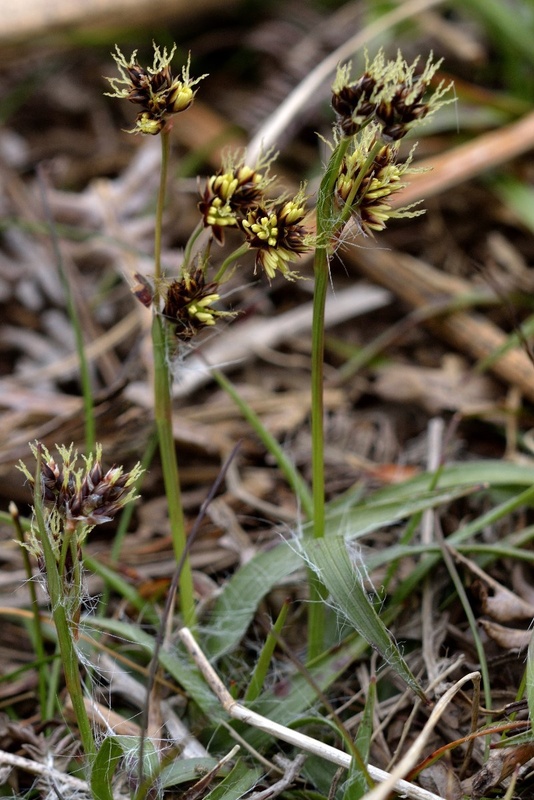 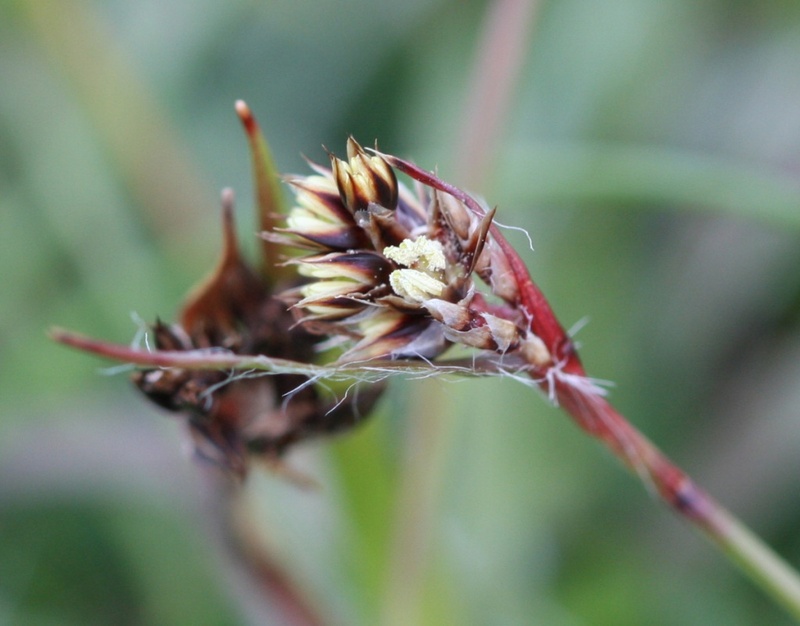 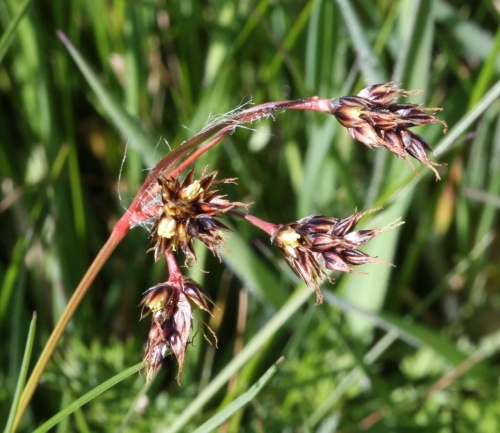 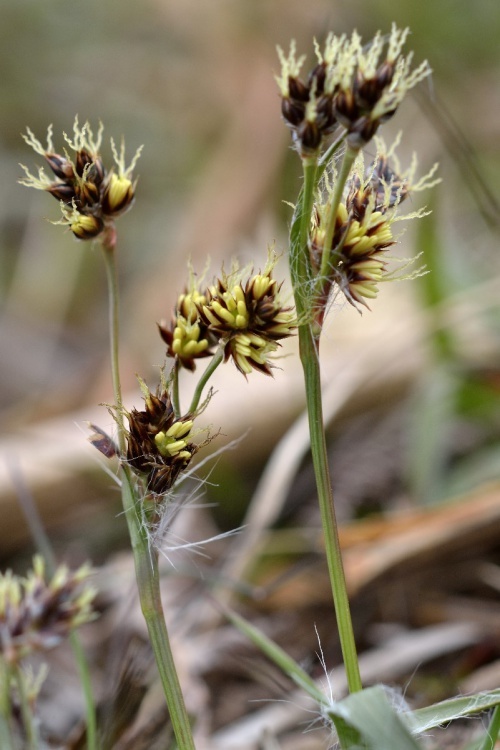 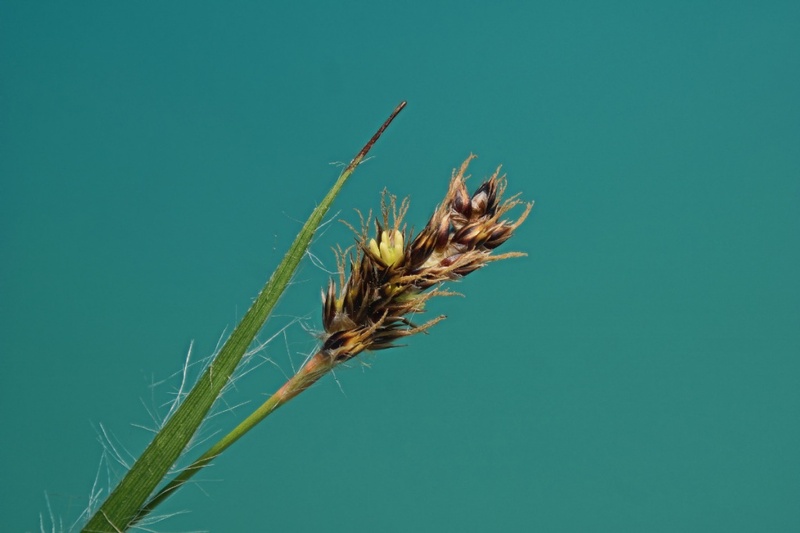 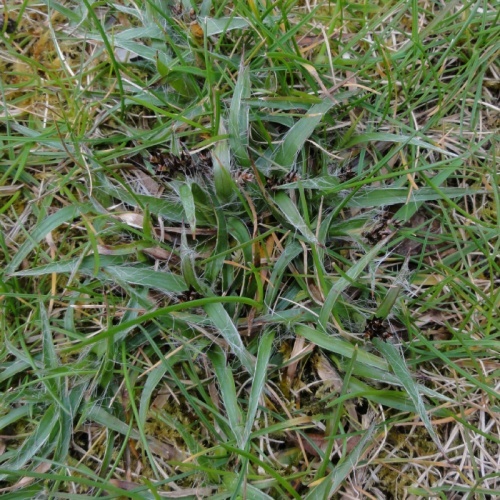 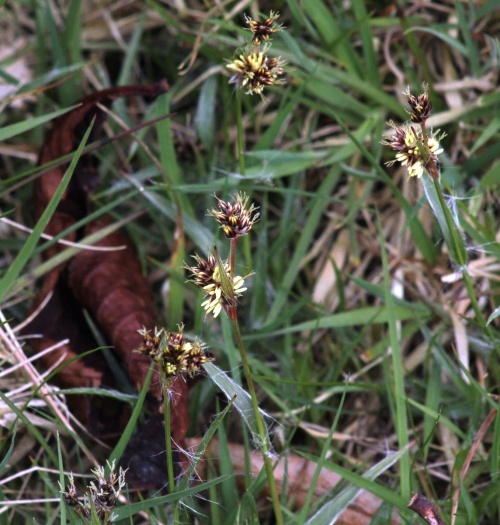 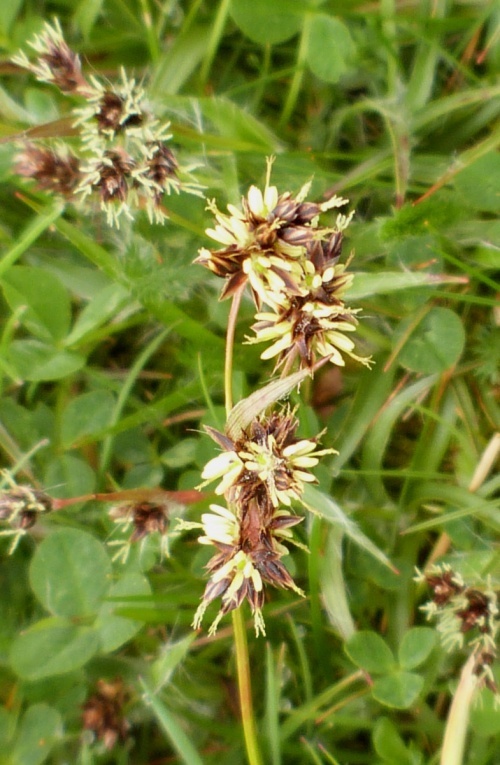 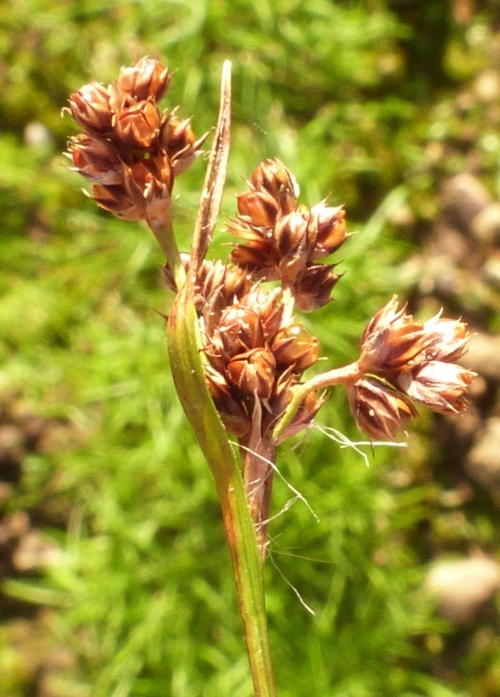 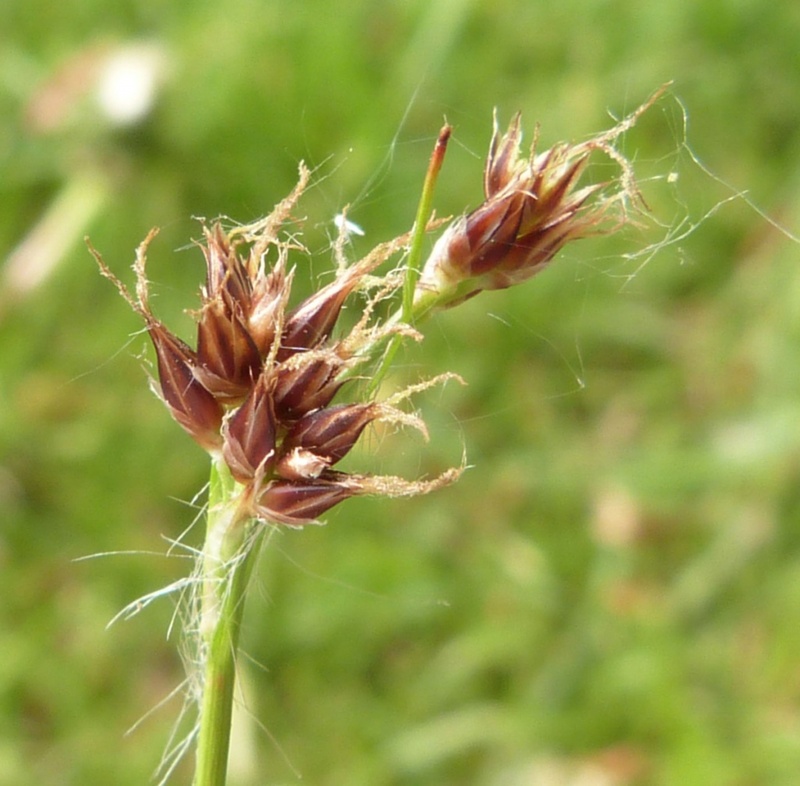 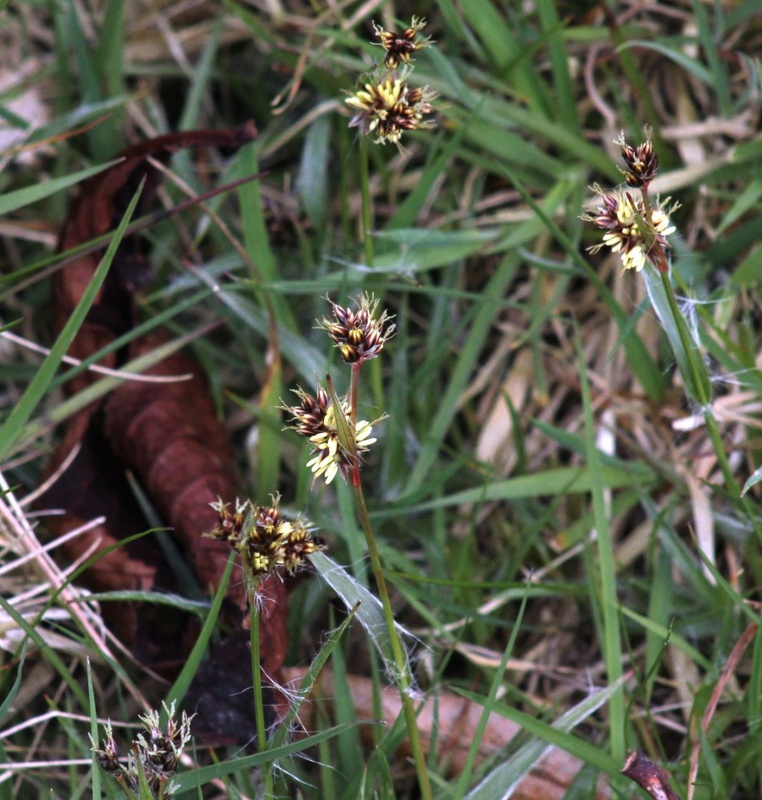 In short grassy situations, lawns, roadside verges, preferring moist conditions.